Newmark Knight Frank has arranged a $125 mil, fixed-rate loan on behalf of a high net worth family investment entity to refi two high-end retail properties in San Francisco. 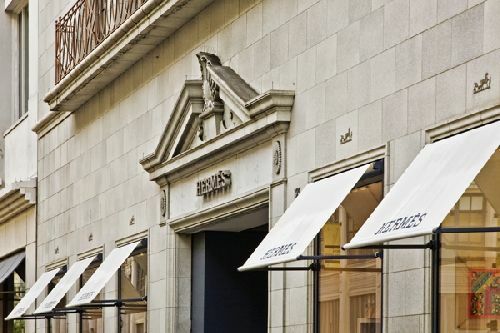 The assets, located at 111 Maiden Lane and 201 Post St, are home to the West Coast flagships of several of the world’s most iconic luxury brands such as Hermès, Yves Saint Laurent, Cartier and Fendi. The two properties, situated at the intersection of Post St and Grant St, are considered the heart of Union Square’s high-street retail district. The beaux-arts buildings, built in 1908 and 1909, also contain approximately 100k sf of some of San Francisco’s most sought after creative office and server as headquarter locations for award-winning advertising firm Venables Bell and famed interior designer Orlando Diaz-Azcuy. NKF’s Ramsey Daya and Jonathan Soffer secured the fixed-rate loan through PGIM Real Estate Finance. Also involved were NKF’s Chris Moritz and Director Travis Bailey. Daya had arranged the previous financing for the assets in 2005. The new transaction was for long-term, fixed-rate financing at just over 4%. According to NKF, they were able to attract global capital to compete on this opportunity, with several German and Asian lenders providing extremely compelling proposals.